2 Pack of 7oz compressed gas duster which is a smaller format. Provides a potent dust removing blast. 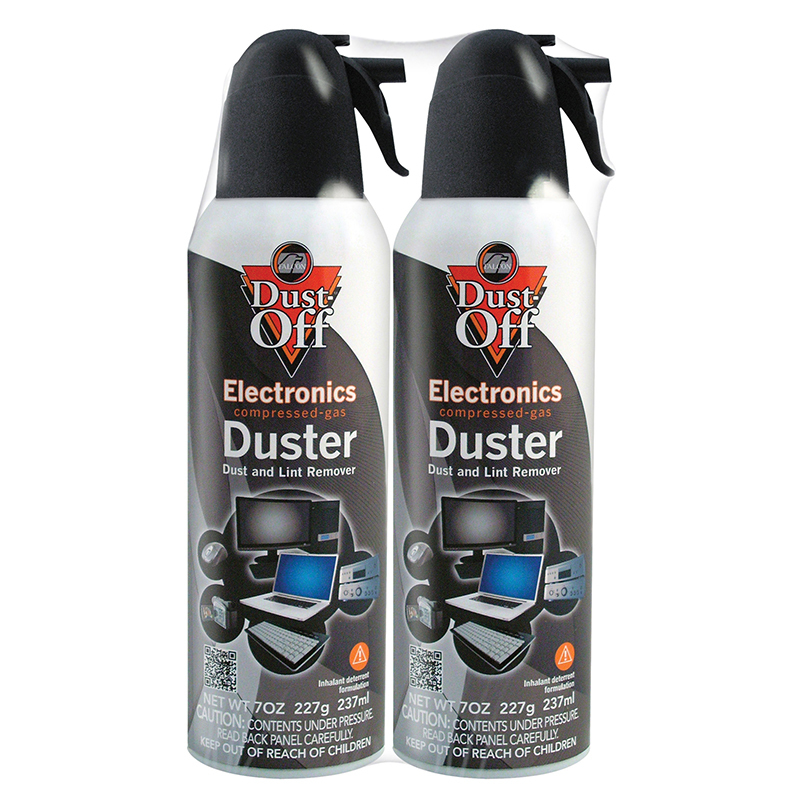 Dusters are used to clean keyboards,CPU, Workstations, labs, and repair benches, Removes dust and dirt from electronics. Contains a bitterant to help discourage inhalant abuse.